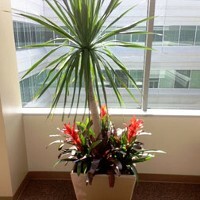 Enjoy beautiful indoor plants in your office or home and benefit from a peaceful sense of well-being. 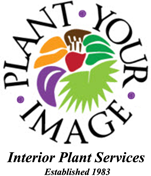 Plant Your Image is the San Francisco Bay Area's leading provider of interior and exterior plantscape designs, maintenance, and holiday décor. We are a growing, independent business providing the best materials and service at rates that will work within your budget. We use only the highest quality foliage and botanicals from select growers in Hawaii and Florida. 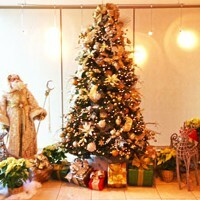 Greet customers and others who walk through your doors at special times of the year with holiday décor, like Christmas trees, wreaths, garland, seasonal greenery and festive holiday displays. Whether you need plants for your home or office, floral arrangements for a special event, or holiday decorating, from design to installation and maintenance, we can provide it all. Book a plantscape consultation meeting with us today! Plant Your Image’s number one mission and main focus is customer satisfaction. Knowing our customers have a choice, we are committed to providing a superior choice. Aware that our customers have high expectations, we are dedicated to meeting or exceeding those expectations. Mindful of the fact our customers are investing their precious dollars and placing their trust in us, we have a duty and responsibility to deliver exceptional value and peak performance. Because our customers our influential, we have the hope of growing our business. The measure of Plant Your Image’s success is in the satisfaction of our customers. We sincerely appreciate and deeply value our current and past clientele. It is because of you that Plant Your Image has been in business since 1983. To our future customers, thank you for your time and kind consideration. We look forward to hearing from you soon! Add a touch of elegance and improve the health of your indoor space with living greenery. Plant Your Image of San Jose, California, offers interior plantscaping to brighten commercial and residential environments. We are the specialists in interior and exterior plantscaping design, and maintenance. 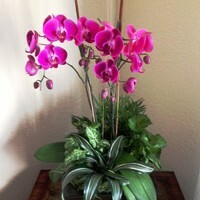 We bring our customers healthy living plants, flower arrangements, including lovely orchids and other flora. 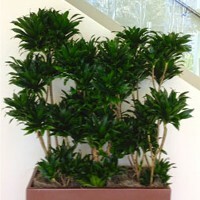 We can also provide attractive and extraordinarily lifelike artificial foliage. Established in 1983, Plant Your Image is locally owned and operated. We specialize in unique designs and our customer service is second to none. The quality and affordability of our products and services, our attention to detail, as well as our exceptional selection of cheerful holiday décor, really sets us apart. We're happy to offer a free, no-obligation, design consultation in which we'll provide our recommendations for the best plant and container options for your environment. We realize investing in plants and / or a maintenance program is a big step and we'll never pressure you into spending more than you want or need. Our goal is to provide you with friendly, professional guidance, and for you to walk away with valuable information, whether you end up using our services, or not. Please contact us for more information. We'd love to hear from you.